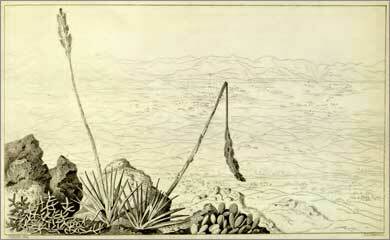 Great Salt Lake of Utah”, 1855. The exploration and documentation of the American West by the U.S. Army Corps of Topographical Engineers depended heavily on the talents of civilians, many of whom were highly trained emigrants from Europe. Among these men was Arthur Carl Victor Schott, a Prussian who came to America at age 36 and who proved to be unique in both his abilities and dedication. Schott received an extensive education in Germany, was apprenticed at the Royal Gardens in Stuttgart, and attended the Institute of Agriculture at the University of Hohenheim. After arriving in America in 1850, he met the renowned botanist John Torrey and was soon employed to illustrate Torrey’s botanical report for Capt. Howard Stansbury's survey expedition to the Great Salt Lake. 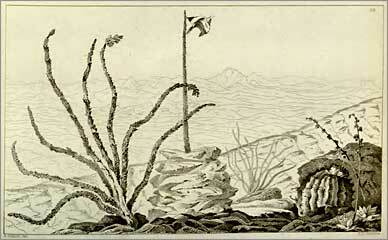 It was Torrey who recommended Schott for appointment to United States–Mexican boundary survey expedition. 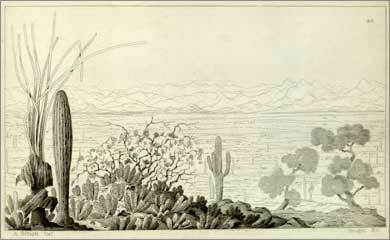 Schott was hired as a surveyor but also served as topographical artist. 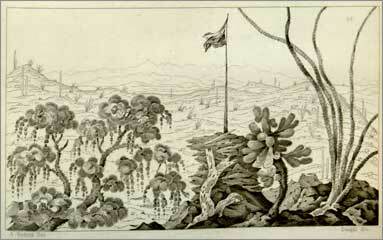 One of his duties was to sketch scenic views of the landscape along the border that, in conjunction with maps, were to mark the position of the boundary. There are 64 topographic views in the report, 32 each by Schott and John Weyss, and the difference between the two men’s work is striking. 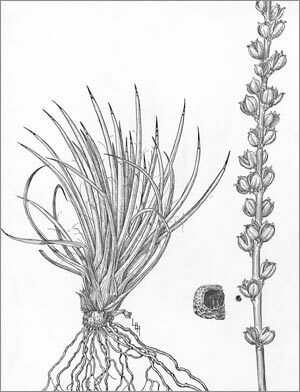 Because of Schott’s background in botany, his depictions of the boundary lands are teeming with native plant life, while those by Weyss are far more spartan. Schott’s primary responsibilities were surveying and topographical drawing, but he had much wider interests and took on additional duties. Schott had collected plants in Germany for his personal herbarium, and during the boundary survey he joined several other naturalists in collecting specimens to send to George Engelmann and John Torrey who were preparing the botanical classifications for the final report. He collected specimens and made contributions to the zoology report, including notes from his personal observations of the animals and, unique to Schott's reports, listings of the names of each animal in English, Spanish and Indian languages. Additionally, he made portraits of Native Americans for the ethnological report and collected fossils for the geological report. In 1855, with the field work of the boundary commission complete, Schott joined the boundary survey office in Washington, D.C., to produce the final report. 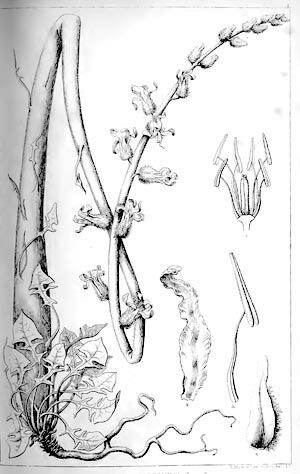 His work included illustrating, collating report information, supervising progress on Torrey's botanical report and the various engravings, and proofing maps. He left the boundary office six years later, having been one of the most industrious and competent of all the civilians hired to work on the boundary survey. Schott remained in Washington, except for an occasional excursion. He worked with a survey for a possible trans-oceanic canal across the Isthmus of Darien, collected botanical and zoological specimens in the Yucatan, and continued his botanical studies of the native plants around Washington. He died in 1875 and was survived by a wife, six children, and a significant artistic and scientific legacy. This appeared in the August 2015 issue of The Desert Breeze, the monthly newsletter of the Tucson Cactus and Succulent Society.